Paul Austin Murphy's : Post-analytic Philosophy? The term 'post-analytic philosophy' was first used in the mid-1980s. At that time it referred to those philosophers who were indebted to analytic philosophy but who nonetheless believed that they'd moved on from it (for whatever reasons). The term 'post-analytic philosophy' seems, prima facie, odd. After all, how can philosophers be 'post'- or anti-analysis? Surely even most examples of post-analytic philosophy will contain analyses of sorts. The above are all prima facie problems which, to some extent, subsides once the history and use of the term 'post-analytic philosophy' is studied. However, it is indeed analysis that some philosophers seem to have a problem with. Or, rather, perhaps it's more accurate to say 'philosophical analysis' rather than the simple 'analysis'. This is obviously the case because the words 'philosophical analysis' are more particular than 'analysis' and it may/will contain assumptions as to what philosophical analysis actually is. If we want to put meat on what post-analytic philosophers see to be the problem (or simply a problem) with analytic philosophy, it's best to consult late-20th century and contemporary American pragmatism. This school is itself seen as being part of the post-analytic movement (i.e., which isn't a determinate school). Many would say that such American pragmatists have a problem with the very notion of objective truth. This is something they see as being an idée fixe throughout the history of philosophy. This, indeed, was no less the case when it came to 20th and 21st century analytic philosophy. In any case, the position that objective truth doesn't exist, or that it's not a worthy aim in philosophy, goes alongside a stress on the contingency of cognitive activity, the importance of convention and utility and, indeed, the idea that human (or social) progress can never be ignored – not even in philosophy. Nonetheless, here again I don't see how there's an automatic or prior problem with accepting all this and still engaging in analytic philosophy (or in philosophical analysis). In very basic terms, for example, one could offer a philosophical analysis of philosophical analysis (or some part thereof); and then, as a result, see philosophical problems with such philosophical analysis. Despite that, such a philosopher would still be in the domain of analytic philosophy (or of philosophical analysis). It seems that the position of many post-analytic philosophers is primarily political - or at least primarily social – in nature. 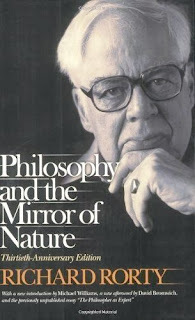 Putnam (1985), for example, has said that analytic philosophy has “come to the end of its own project—the dead end”. That can be taken to mean that philosophy should connect itself more thoroughly with other academic disciplines. Or, more broadly, that analytic philosophy should connect itself with culture or society as a whole. The problem with this is that, on and off, analytic philosophy has already connected itself to many other disciplines. Admittedly, that's been more the case since the 1980s and the rise of cognitive science. However, to give just a couple of examples, the logical positivists connected themselves to science (or at least to physics). And, to give one other example, philosophers in the 19th century connected themselves to logic and mathematics and, again, to science. This non-ostentatious “interdisciplinary” nature of philosophy has been true, in fact, throughout the history of philosophy. A philosopher may also ask why he should connect himself to other disciplines, never mind to something as vague or as broad as culture. In other words, a philosopher must have philosophical reasons as to why this would be a good thing; just as a philosopher must have philosophical reasons as to why it's a bad thing. That means that there'll be philosophical angles to this very debate; though, it can be added, those angles needn't always be philosophical in nature. Another slant on this philosophy-society binary opposition is that analytic philosophy is too professional and therefore too narrow. In other words, analytic philosophers are over-concerned with very tiny, narrow and specialised problems which have almost zero connection to society as a whole. All disciplines can be said to concerned with narrow or specialised issues or concerns. Yet this is an accusation more often than not aimed more at philosophy than any other academic subject. I would say that Richard Rorty appears to be talking about analytic philosophy as it was in the past (say, the 1950s to the 1970s), not as it is today or as it's been since, say, the 1980s. 1 For example, if you say that an argument or a single statement is “warranted and therefore assertible”, is that a case of being wedded to the notion of objective truth? Or is the notion of warranted assertibility a different species entirely? 2 I put the word “problem” in scare quotes because the very stance of seeing such problems as problems means - according to Rorty, Derrida, Heidegger, etc. - that we've fallen prey to particular philosophical “style of thinking”. But that too would be a philosophical position! Mendieta, Eduardo (2005) Take Care of Freedom and Truth Will Take Care of Itself: Interviews with Richard Rorty (p. 23). Putnam, Hilary (1985) ‘After Empiricism’ in Rajchman and West's Post-analytic Philosophy.